Located in Alwar, Cold Steel’s 3,00,000 sq.ft. 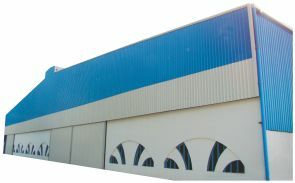 (covered area), state-of-the-art workshop is equipped with the latest generation of production machines. Our capacity to execute the entire process in-house, helps us generate cost and time benefits for our clients. It also helps us to meticulously control the quality of material and the production process. We employ the use of customised computer software conforming to Indian/International standards. Experienced engineers and technicians oversee every phase of the design and manufacturing process and ensure emphasis on stability, endurance and aesthetics while ensuring optimum utilisation of steel.